"An Ohio father who made his daughter walk five miles (8km) to school as punishment for bullying has provoked a debate on parenting." covering topics like mental health, bullying/abuse, vocational counseling and much more." "The inventor of the world wide web has said there should be an option to disclose the identity of cyberbullies." "My name is Hailey. I am a kind, caring, smart girl, but I make poor choices with social media. As a punishment, I am selling my iPod and will be donating the money to the charity Beat Bullying, in hopes of changing my behavior as well as bringing awareness to Bullying. Because bullying is wrong." National Bullying Prevention Month " is a campaign in the United States founded in 2006 by PACER's National Center for Bullying Prevention. The campaign is held during the month of October and unites communities nationwide to educate and raise awareness of bullying prevention..."
had been "deliberately targeted, threatened or humiliated by an individual or group" using technology. While bullying took place on social media sites, games consoles and chat rooms, the most common form of cyberbullying reported was by text message. This reflected the fact that the majority of bullying the children reported began offline, often at school, and was then continued online or by phone." "Lady Gaga has surprised one of her Canadian fans by recording a personal video message in support of his campaign against school bullies." 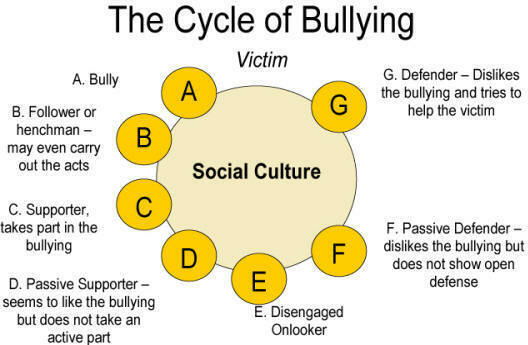 According to Department of Education research in Northern Ireland, 15.5% of Year 6 pupils and 17% of Year 9 pupils surveyed have experienced cyberbullying in recent months." It's a short walk from schoolyard bullying to school violence." 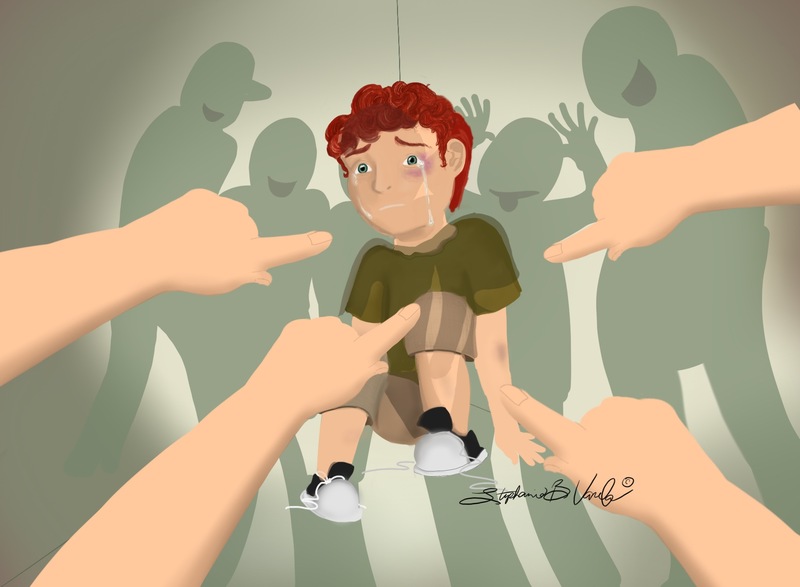 Bullying Awareness Week - November 13 - 19, 2016 Theme: "Stand Up! (to bullying)"
"A Missouri woman who allegedly used a fake MySpace profile to bully a girl who later committed suicide has been indicted by a federal Grand Jury." " Question. What do African-Caribbean, English, French, Pakistani and Polish and children all have in common in the UK? Answer. They can all be the victims of racism." "Teachers are warning parents they need to be more aware about the potential misuse of the internet and mobile phones by their children."